We invite you to look back at a brief history of the Foundation, particularly as seen through the evolution of our grantmaking. Over the years, our grantmaking approach has changed in response to regional opportunities and challenges, and the needs of the people who live and work here. While what we call our program areas has changed over time, since our earliest days we have remained committed to improving educational opportunities for children and young people, protecting the environment, and helping foster diverse cultural expression and experiences in the region. The grants highlighted in the timeline are examples intended to illustrate the progression of our work. 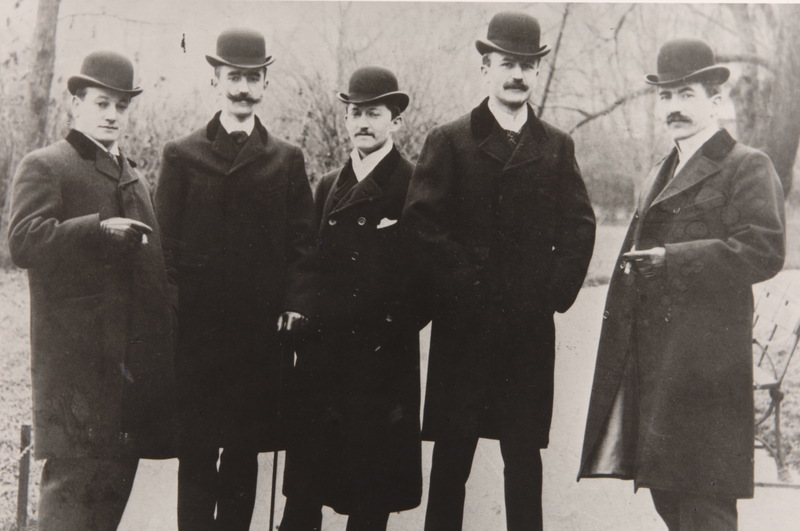 After the death of his father, Otto Haas (second from right) goes to work as a bank clerk, at age 15, in his native Germany, learning English-language skills. In 1907, Otto partners with chemist Otto Rohm to create the Rohm & Haas chemical company in Esslingen, Germany. 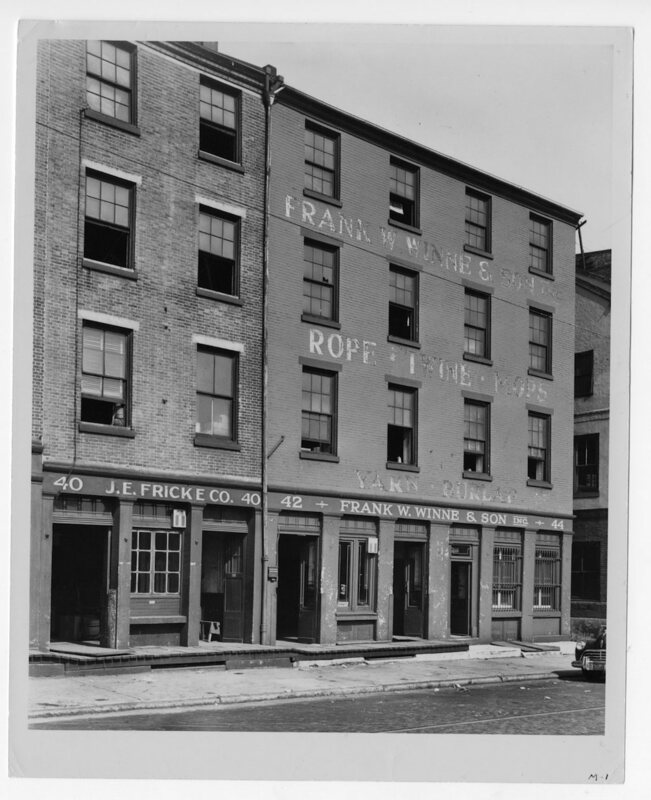 Two years later, the company expands to America, opening its first U.S. office in Philadelphia, eventually residing on N. Front Street where it was located until 1927. Otto marries Phoebe Waterman. Phoebe earns degrees in mathematics and astronomy from Vassar College and the University of California, Berkeley, and is among the first women to earn a Ph.D. in astronomy. The two met while on board a ship to Buenos Aires. 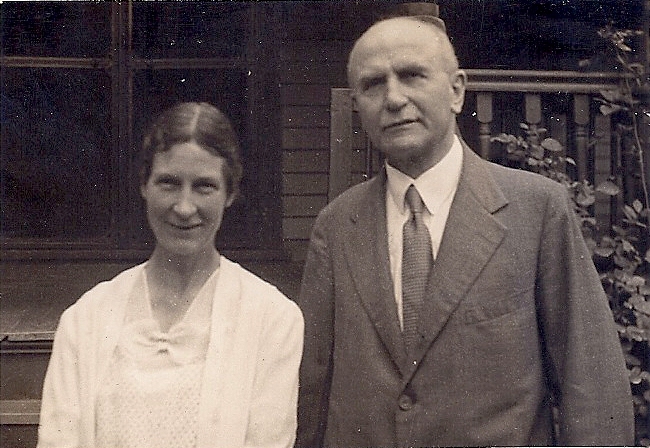 Otto was embarking on a two-month trip to South America to expand markets for Rohm & Haas, and Phoebe was on her way to an observatory to work as an astronomer in the southern hemisphere. Together, Otto and Phoebe create the Phoebe Waterman Foundation. World War II had just ended and throughout the 40's their early philanthropic interests addressed post-war needs including scholarships for fatherless children and aid for European recovery. Grantmaking in the first decade reflected the family's personal interests and concerns. Ninety grants were made, ranging in size from a few dollars to over $100,000 for construction of a dormitory at the Philadelphia Divinity School. Medical research and hospital expansion projects were also among the Foundation's initial philanthropy, including support for cancer research and the founding of Lower Bucks Hospital. Sons John C. and F. Otto Haas take leadership roles at both Rohm & Haas and the Foundation shortly after Otto's passing. 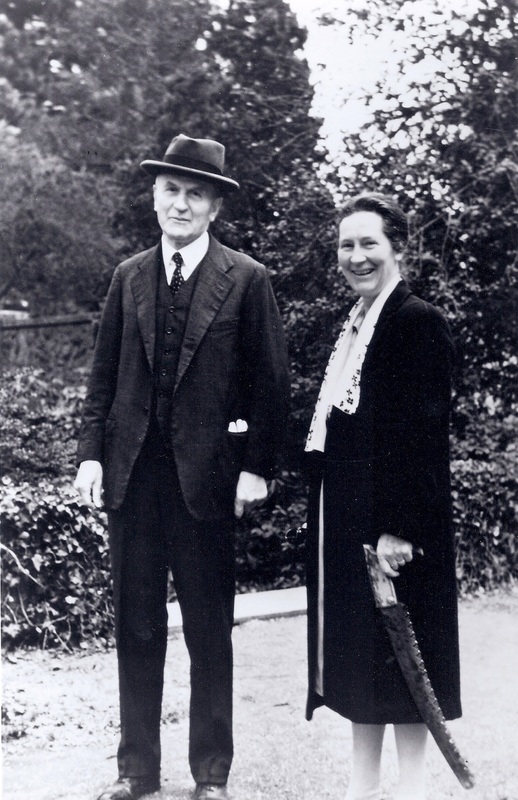 F. Otto and his wife, Dorothy, show interest in protecting open green space, historic preservation, and arts and culture institutions. John and his wife, Chara, primarily focus on efforts to improve the quality of life for children and families, especially in disadvantaged communities. Otto Haas passes away in 1960, and the Foundation receives the bulk of his estate. Phoebe continues regular gifts to the Foundation until her death in 1967. The first grant for environmental protection was made to Whitpain Township to acquire land for a park. 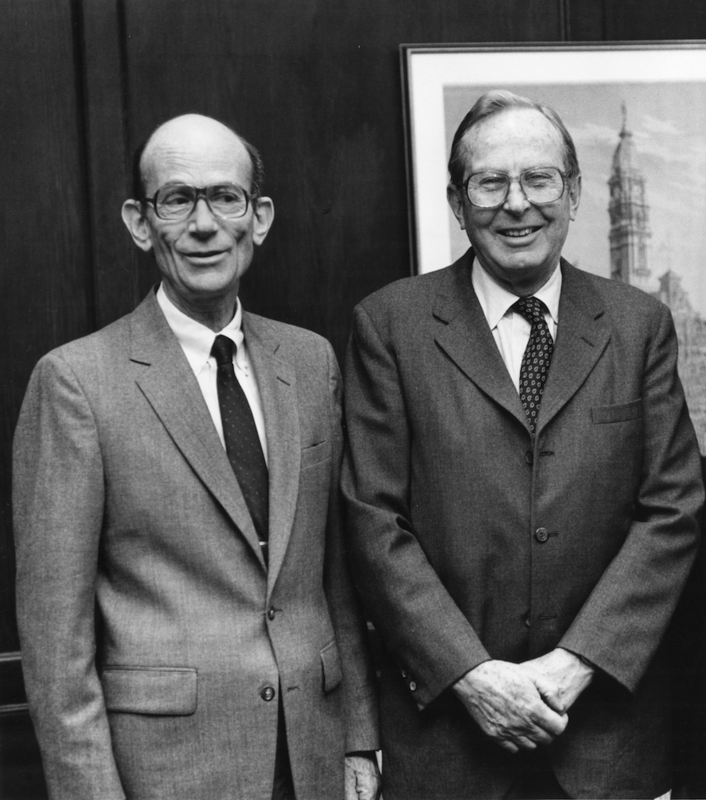 In 1987, environment became a separate category for the Foundation's philanthropy, but was the smallest part of the grant budget. 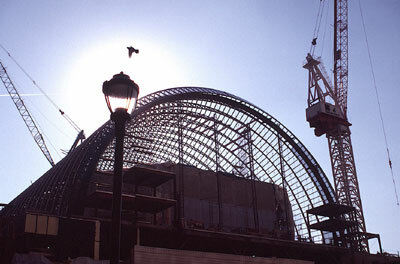 In 1996 it became the second largest, reflecting the Foundation's concern for protection of the region's natural resources. During the 60's funding for children and youth went to a wide range of agencies including Big Brothers of Bucks County, the Girl Scouts and the YMCA, while others were awarded to neighborhood houses and churches for the construction or improvement of playgrounds, youth centers, and summer camps. 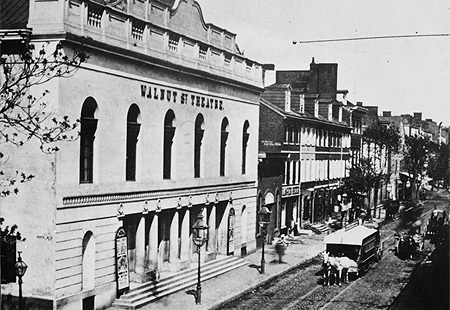 Dating from 1808, America's oldest theatre had accommodated every imaginable form of entertainment, until, in the late 1960's it was in decline and in danger of being replaced by a parking garage. From 1969-1976 the Foundation provided over $4.5 million for interior renovations and restoration of the theatre's classic facade, and in 1972 the Foundation began supporting its operations as well. 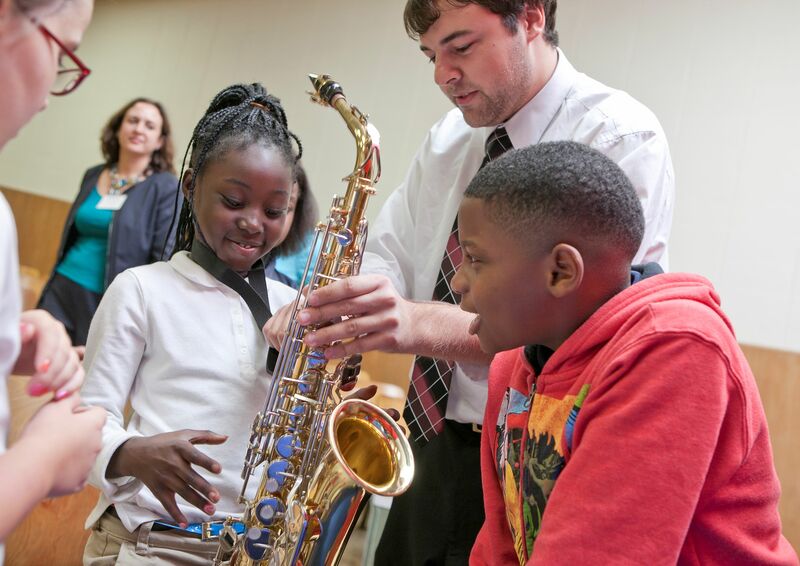 The Foundation continues to support its arts education programs today. In partnership with the School District, Foundation funding gives students the opportunity to attend local theater performances with discounted tickets for the 1972-1973 season. 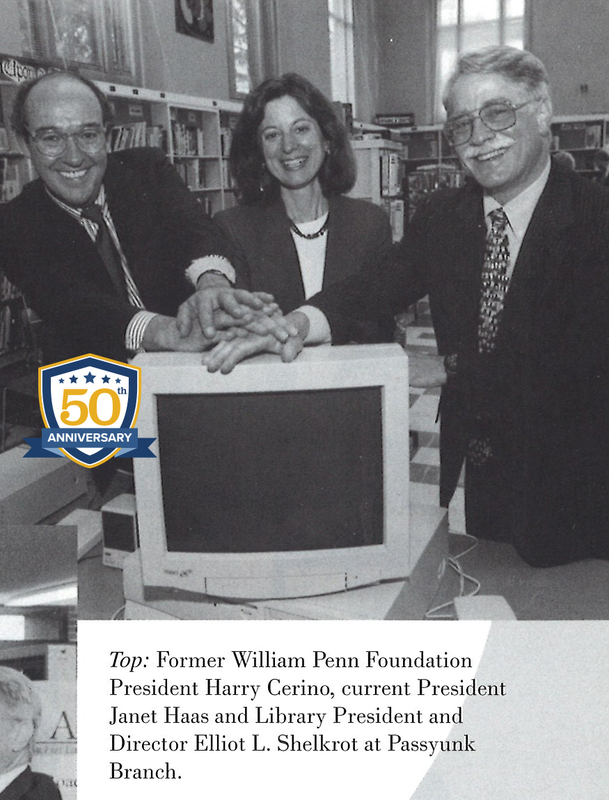 To recognize its range of grantmaking interests--arts and culture, human development, education, and the environment--the Foundation renames itself to commemorate William Penn, a 17th century Quaker whose pursuit of an exemplary society led to the establishment of Philadelphia. Incorporating elements of both watershed protection and education, the Foundation makes a two-year grant in cooperation with the School District of Philadelphia. Visitors to the Schuylkill Center for Environmental Education are able to learn and develop appreciation for our regional ecosystem. 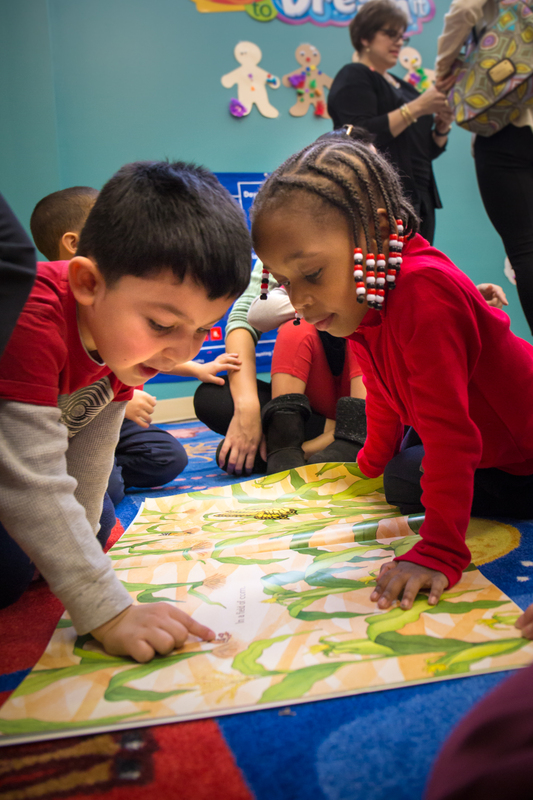 Continuing its mission to advance education in Philadelphia, the Foundation makes a significant contribution to provide books for preschool children in the city. Boys and Girls Club of Philadelphia, Inc. The Foundation has supported the Boys & Girls Club of Philadelphia over several decades. This grant supported the renovation of four facilities, but since that time support has included a variety of projects including construction of a new gymnasium and multipurpose addition to the Wissahickon Boys & Girls Club, a new resource development office, and support of enrichment programs at its summer camps. The first of 24 grants was made to Taller Puertorriqueno to help renovate a cultural community center. Later grants included support for a wide range of efforts including expansion of its artistic programs, building renovations, and toward creating a business plan totaling more than $2.7 million, collectively. The Foundation's second-ever grant to the Natural Lands Trust is used to acquire ecologically fragile land for the Glades, a nature preserve in southern New Jersey. The land is critical to preserving and protecting water quality within the watershed. In an effort to engage families and create an appreciation for the environment and diverse habitat, the Foundation provides a three-year, $300,000 grant toward the construction of a new carnivore exhibit at the Philadelphia Zoo, America's oldest zoo. 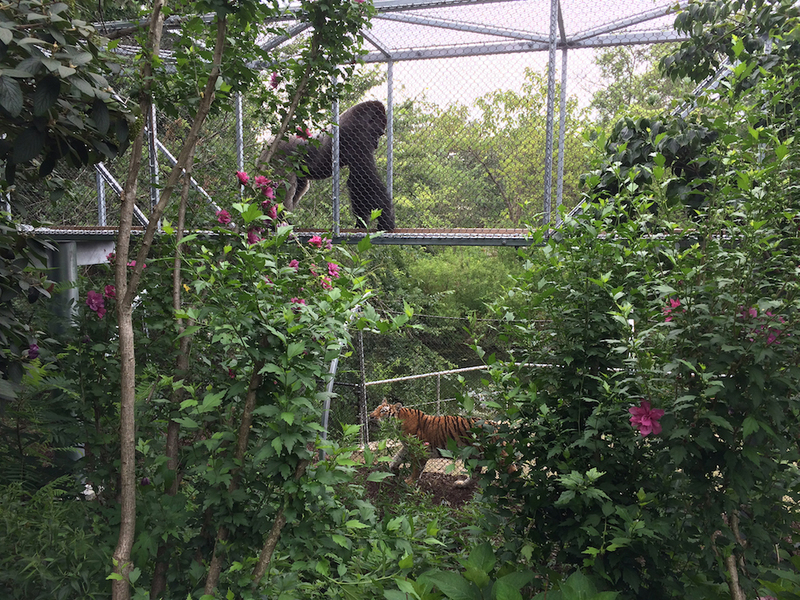 The Foundation has supported the Zoo for a variety of efforts since that time including the launch of Zoo360, an animal exploration trail experience. This campus-wide network of see-through mesh trails affords more opportunities for animals to roam around and above Zoo grounds. A nearly $1 million grant was awarded to purchase a historic bank building at 601 South Broad Street, which is later developed into the University of the Arts' Arts Bank. Since that time the Foundation awarded more than 24 grants to improve South Broad Street and help reinvigorate Broad Street as a cultural hub of Philadelphia and the region. John C. Haas steps down after 32 years as Chairman of the Foundation’s Board of Directors. John's son David becomes chair of the board and Janet Haas becomes vice chair, and the third generation of the Haas family assumes leadership of the Foundation. The Foundation awards its first grant to the Philadelphia Folklore Project to support its Folk Arts Access Program. This was the first of several grants to the organization over the years totaling more than $1 million. To further protect the Delaware River watershed, the Foundation continues to strategically invest dollars toward preserving critical land within the region. A grant to the New Jersey Conservation Foundation preserves environmentally significant lands within the Upper Delaware River Corridor. 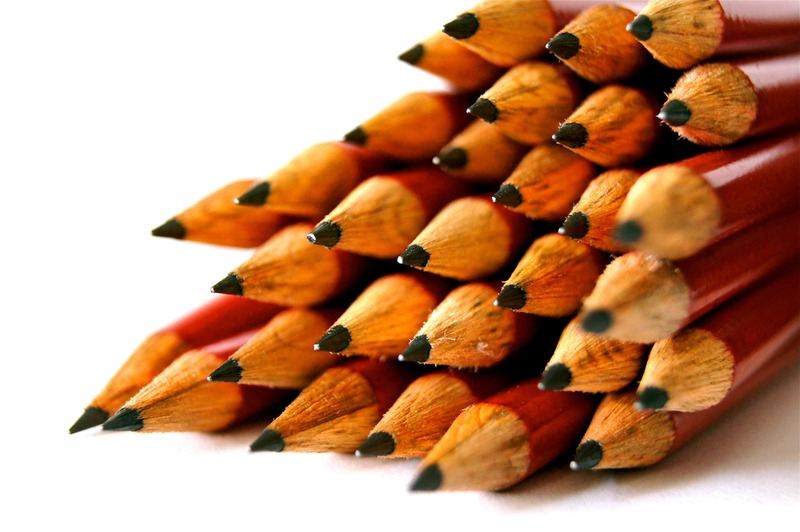 In August 1994, the Philadelphia School District adopts the "Children Achieving" education reform program, which places teaching and learning at the forefront of all program and resource decisions. 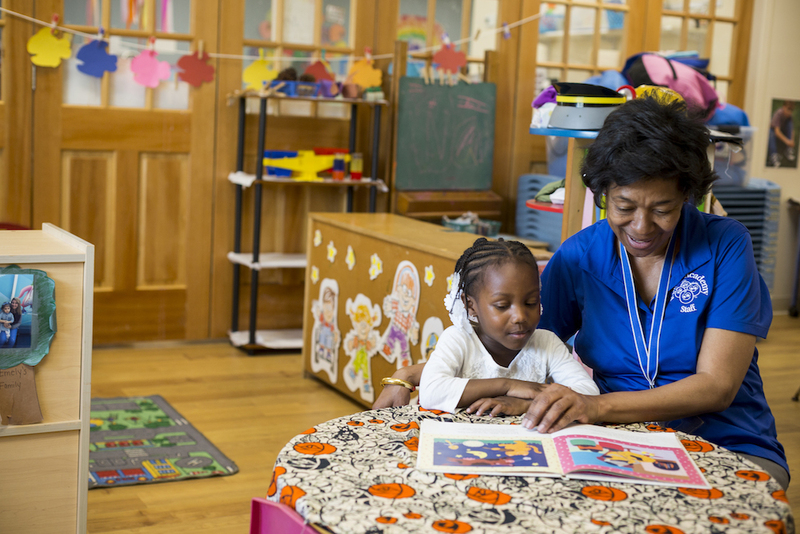 In 1996, the Foundation donates $13.8 million toward strengthening teaching and learning resources for schools in Philadelphia's underserved neighborhoods to help more children succeed. 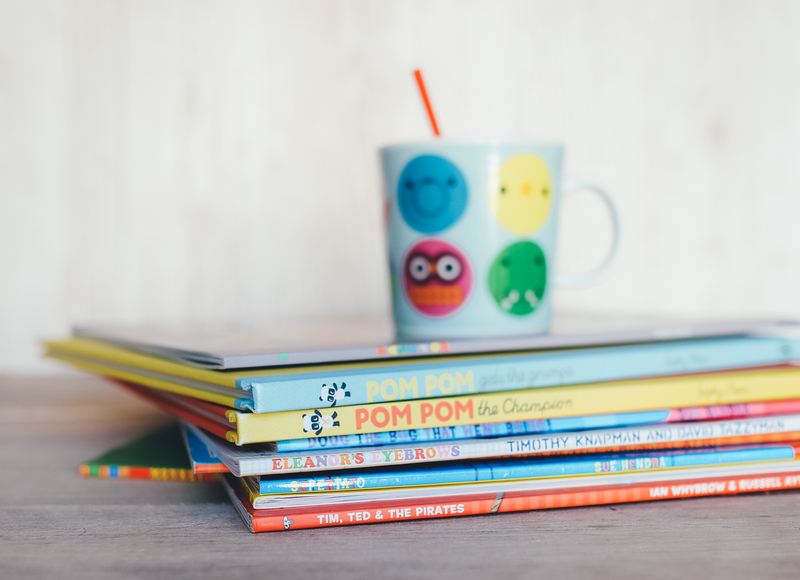 In honor of 50 years of grantmaking, the Foundation awards the Free Library with a Model Urban Library Services for Children grant in the amount of more than $18 million. With the grant dollars, the Central Library on the Parkway is expanded and remodeled, and dozens of neighborhood branches receive remodeled children's areas and new technology. 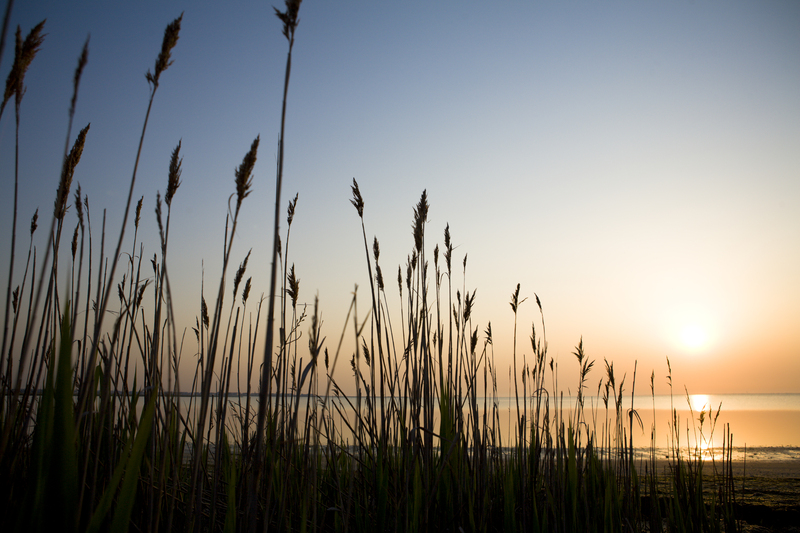 The Foundation addresses two objectives through a multi-purpose grant to this national land conservation organization: acquisition and preservation of critical lands within the Barnegat Bay watershed, and a re-grant program to promote stewardship and public education. 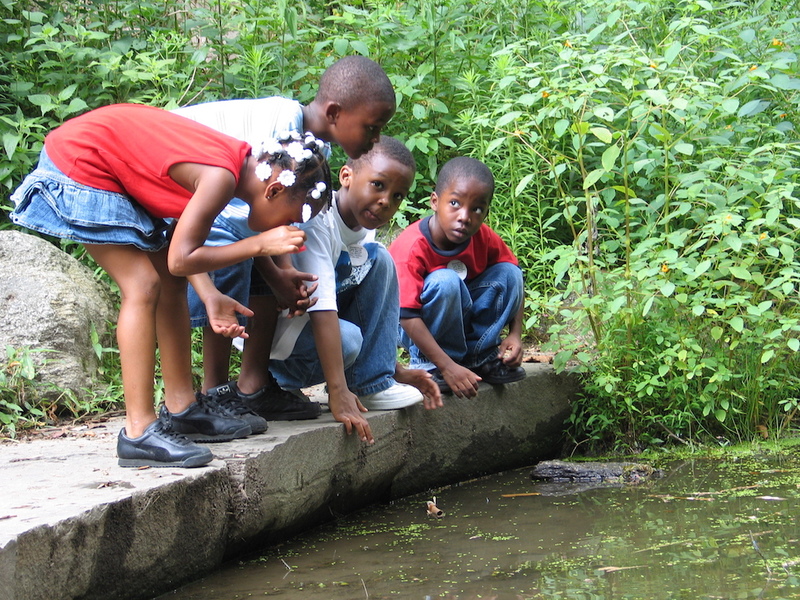 The Foundation provides significant support to the Fairmount Park Commission to build public awareness and enhance community stewardship of the park. This includes improved employee training programs, increased community outreach, and support for securing new funding sources. As plans surface for a new regional performing arts center in Center City, the Foundation contributes $10 million toward its design and construction. One-time exceptional civic opportunity grant. 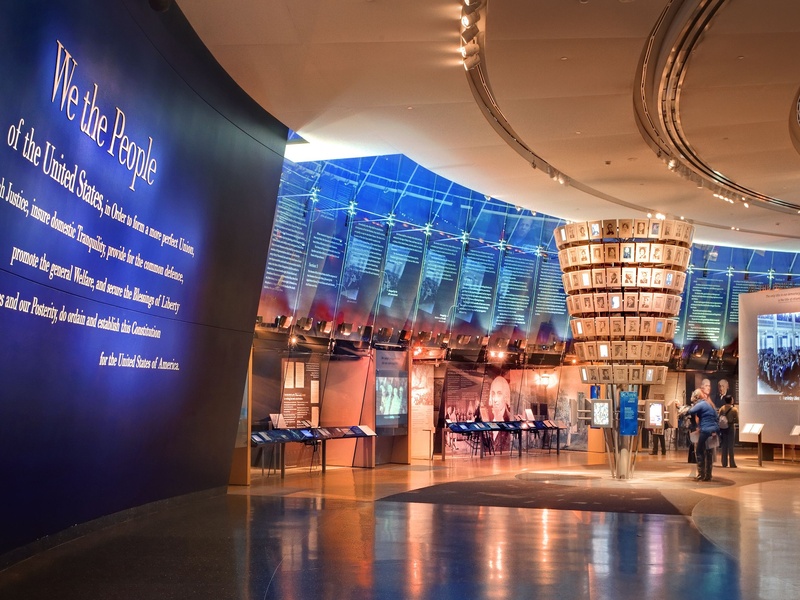 The Foundation funds the endowment of and youth educational programming for the National Constitution Center, which becomes the first and only nonprofit, nonpartisan institution devoted to the U.S. Constitution. Today, the Center serves as an interactive museum, national town hall, and civic education headquarters. 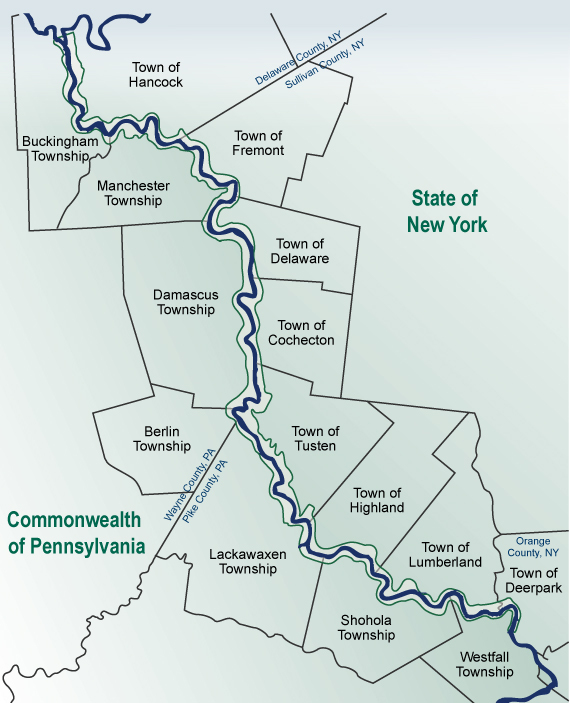 In the absence of a sole governing entity driving watershed protection and land conservation in the Delaware River Basin, the Foundation provides a grant to the NJ Conservation Foundation toward improved management and protection of New Jersey's natural resources through coordinated public and private planning, policy, and land preservation efforts in the Delaware Bay Watershed and the Delaware River Corridor. The Foundation continues to protect environmentally significant acres within the Delaware River watershed to preserve water quality through a grant to the Natural Lands Trust. The grant is used to protect land within the Pennsylvania Highlands through conservation planning, land acquisition, and community-based stewardship programs. 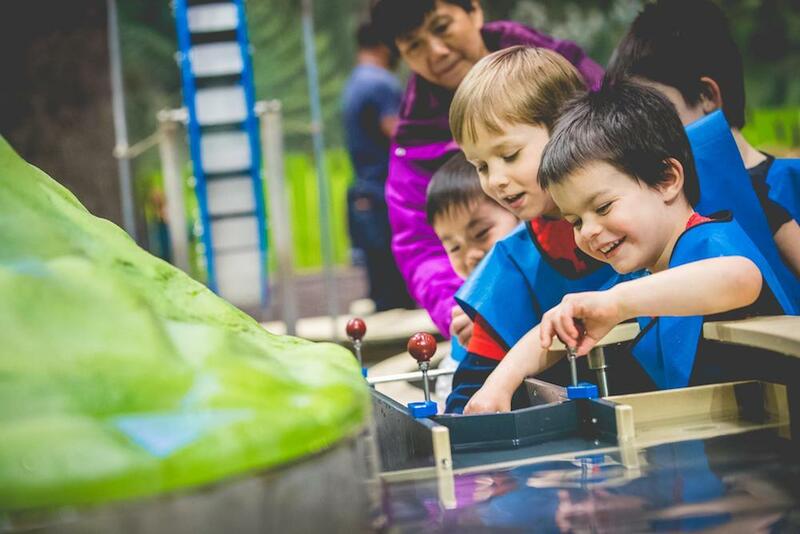 As it has for nearly 60 years, the Foundation remains at the forefront of children's education advocacy by supporting this regional organization's research, data collection and analysis, and public education on emerging child care issues. 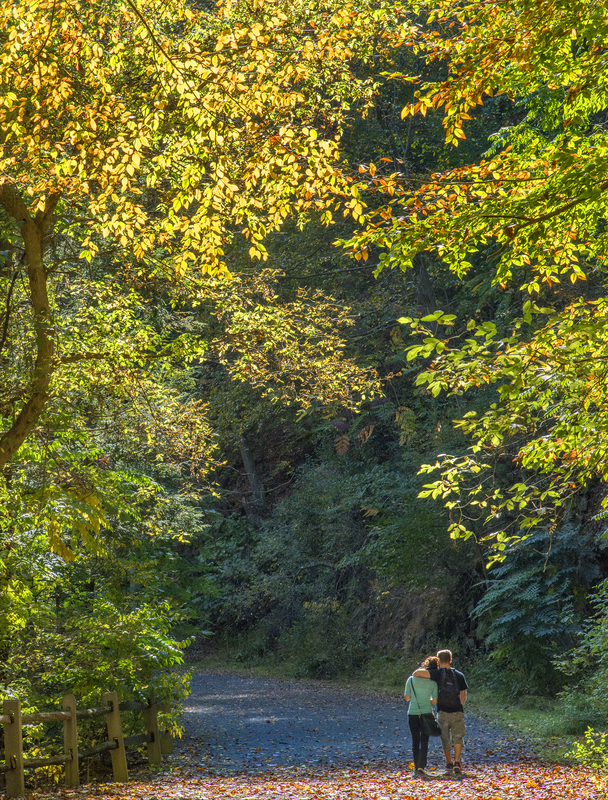 Fairmount Park stands as one of the largest urban green spaces in the country, with thousands of acres of open green space, trails and woodlands, offering a refuge for all who live and work in the city. The Foundation's support aims to strengthen the partnership between the Fairmount Park Conservancy and the former Fairmount Park Commission to improve park restoration and stewardship. 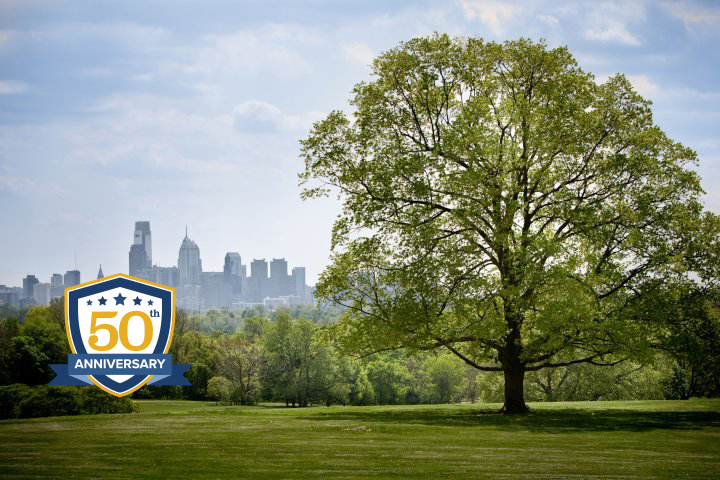 The Conservancy was established in 1998 as the Fairmount Park Foundation and renamed the Fairmount Park Conservancy in 2001. 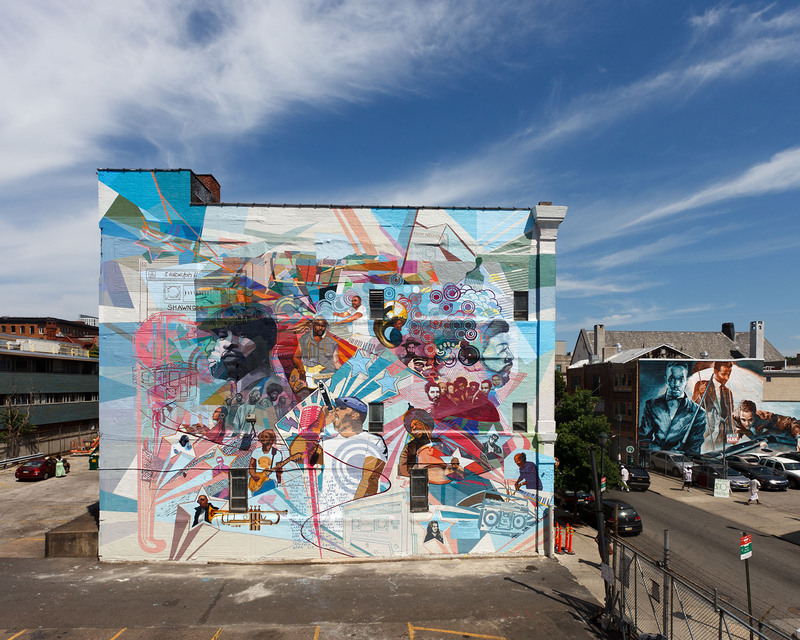 One of the first grants made by the Foundation to the Department of Recreation's Mural Arts Program, this funding introduces arts workshops and program planning support into four Philadelphia communities for youth development. 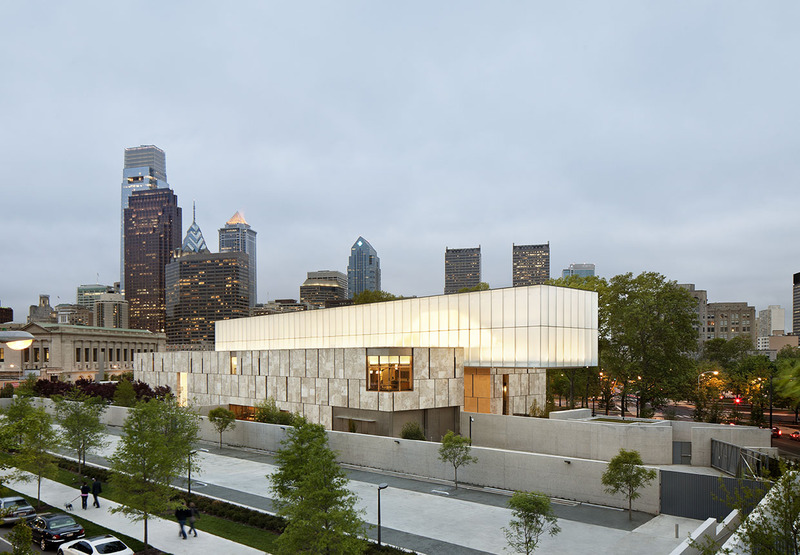 In 2003, the Barnes Foundation moves from its historic home in Merion, Pa., to its current location on the Benjamin Franklin Parkway in Center City. A Foundation grant for capital and endowment needs supports this long-term vision for greater public access to the institution. 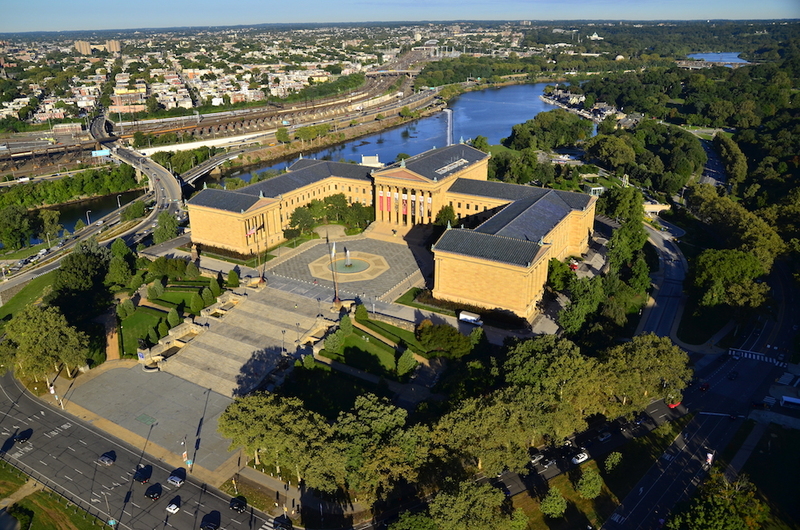 At the turn of the new millennium, the Foundation supports the Please Touch Museum's plans to move from Philadelphia's Museum District along the Benjamin Franklin Parkway and construct a new, expanded museum at Penn's Landing. When the new waterfront location falls through, the Foundation contributes to the museum's $72 million capital campaign in 2004 to relocate to Memorial Hall in Fairmount Park, where it remains today. As bicycle transit becomes a more popular option for city dwellers, the Foundation funds a study to determine the feasibility of establishing a bike sharing program in Philadelphia. 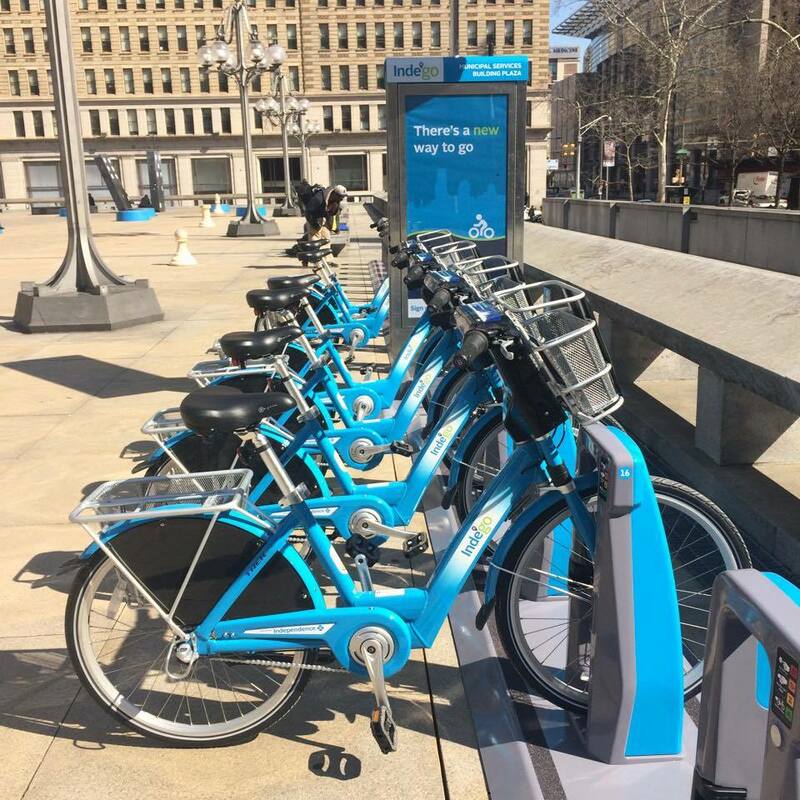 In 2015 the Foundation supported the expansion of Philadelphia’s bike share program, Indego, with an emphasis on equity and ensuring bike share was accessible to low-income communities. 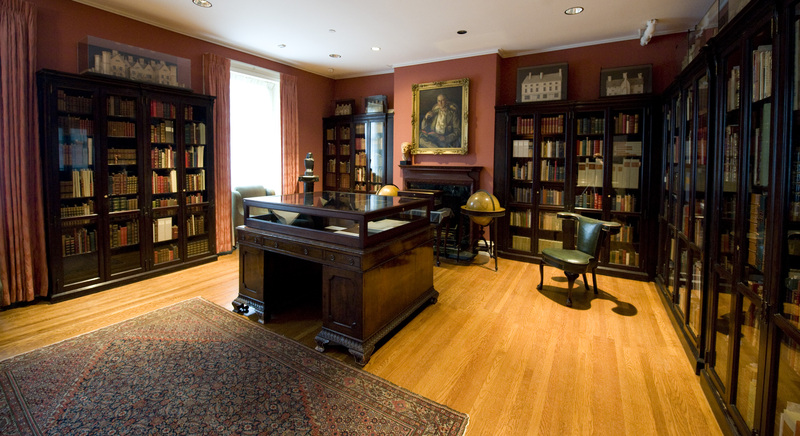 Nationally known for its collection of rare books, the Rosenbach receives Foundation funding that helps create a three-year capitalization strategy for long-term financial sustainability. The work positions the Rosenbach for a planning process that leads to its 2014 merger with the Free Library of Philadelphia. A few months short of its 100th anniversary, the Rohm and Haas Company is acquired by The Dow Chemical Company. In December, John C. Haas directs a significant portion of the family's charitable assets from that sale to the Foundation. The Foundation aligns with the Pennsylvania Land Trust Association on policy development and efforts to advance permanent protection of land in the Commonwealth. A 2010 grant funds education, outreach, and technical assistance to various Pennsylvania land trusts to advance best practices in these areas. 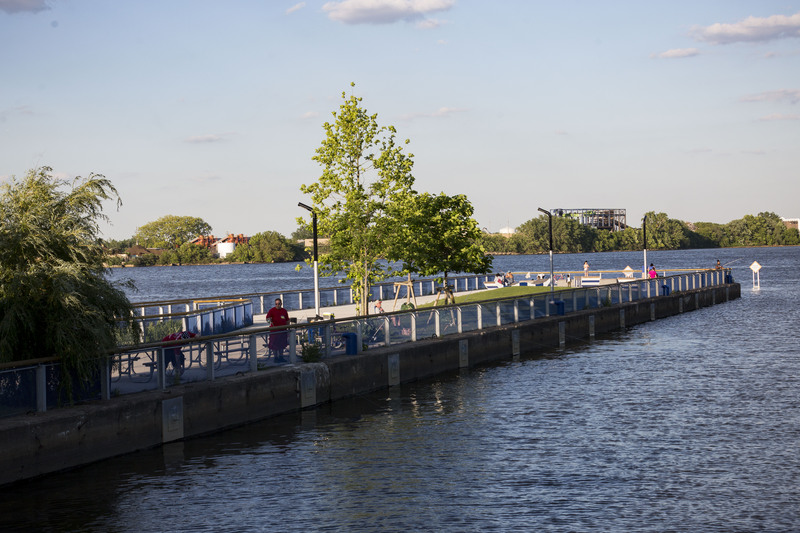 With a vision for a more vibrant, lively riverfront, in 2007 the Foundation supported an effort to ensure public riverfront access guides the redevelopment of the Central Delaware Riverfront. Initial Foundation support funded a civic engagement process to create a new citizen-based vision for the Central Delaware Riverfront. That vision identified a series of key early actions including a new master plan and a series of riverfront public access improvement projects including the Race Street Pier, Spruce Street Harbor Park, Washington Avenue Green, Pier 68 Recreation Park, and a new waterfront trail, which the Foundation supported in 2010. 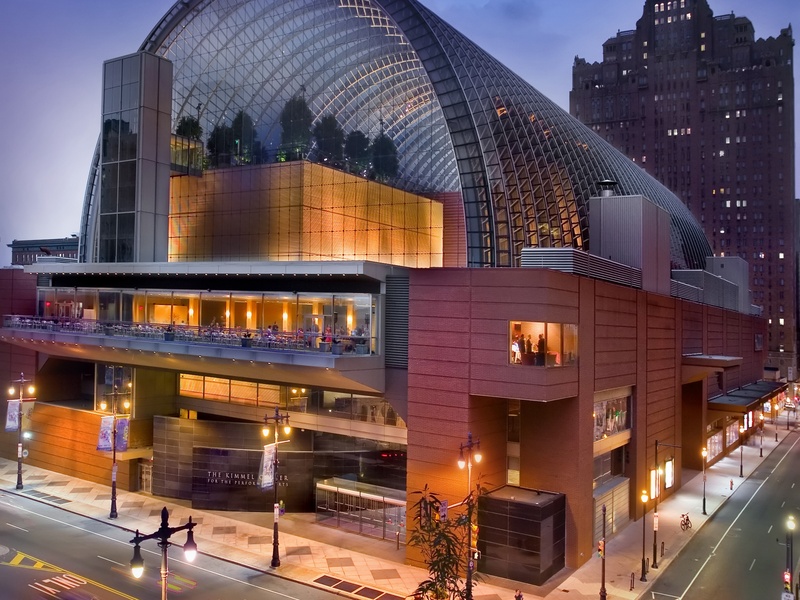 A $3 million capitalization grant was awarded to the Kimmel Center to help the organization improve its business model in service to the Resident Companies. Through one of its largest grants to PCCY since its first in 1987, The Foundation supports the organization as a partner in advancing children's access to high-quality education. As the region's leading child advocacy organization, PCCY advances policy work in support of adequate public funding and high-quality opportunities for children and youth. 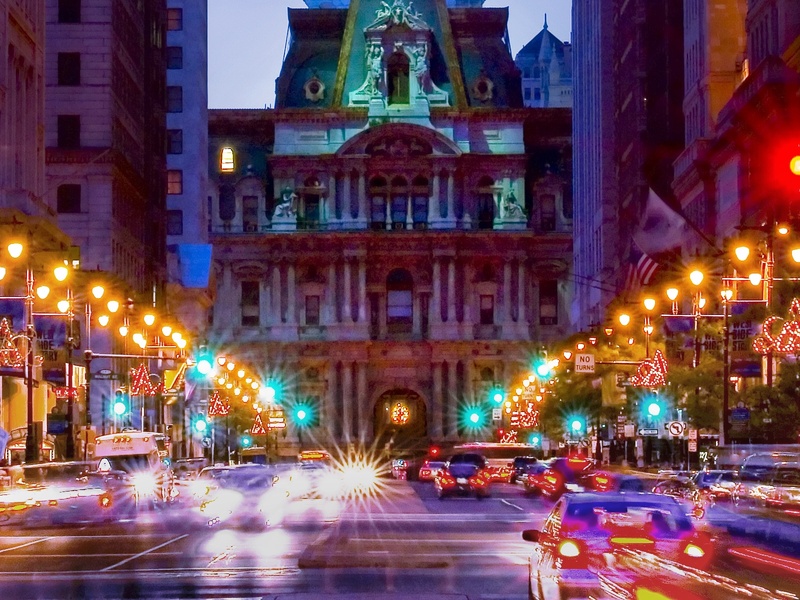 At the epicenter of historic Philadelphia is City Hall, once the city's tallest building. The Foundation supports the renovation of the outdoor space surrounding the building through matching funds to secure individual and corporate contributions; later, Philadelphia's Dilworth Plaza is revealed as a newly revitalized public space. A multi-year, $5 million grant funds the construction of the museum's new 68,000-square-foot Art Handling Facility designed by Gehry Partners, providing much-needed improvements for the care, storage, and movement of the works of art in the museum’s collection. The Foundation aligns with Wildlands Conservancy in its mission to build a greater watershed constituency base, funding an expansion of the Conservancy's river and trail programs in the Lehigh Valley. The programs combine recreation and environmental education to build stewardship for the Delaware River watershed. Considered to be one of the Foundation's most pivotal early childhood education grants for its emphasis on child care provider collaboration, the Foundation maximizes dollars through this grant by encouraging the use of shared services and tools by early care and education providers, improving the quality of provider care and the financial sustainability of their programs. The Foundation supports arts education in public schools by funding organizations to offer arts education residencies in partnership with schools. One is provided by the Settlement Music School, one of the largest and oldest community schools of the arts in the United States. Funding allows Settlement to pilot and launch a unique in-school music program, bringing its high-quality instruction into four city schools. 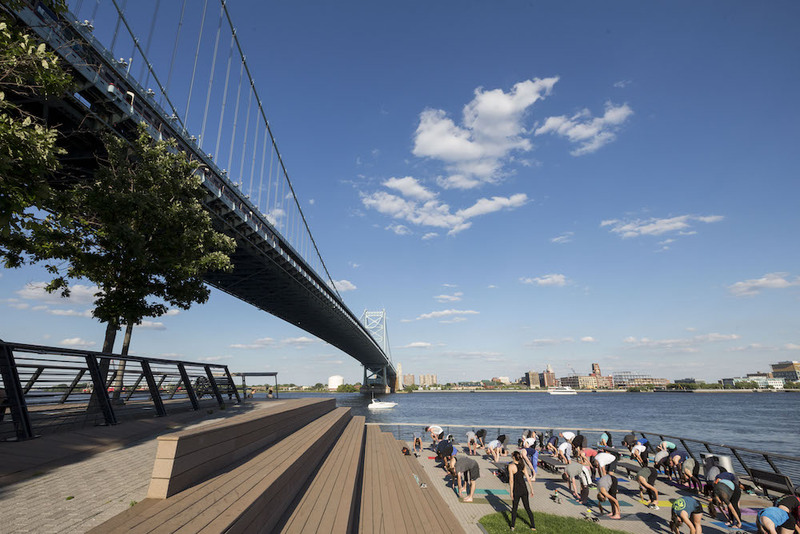 New sections of multi-use trail are blazed in South Philadelphia, where the Foundation also funds the design of two new public parks at Washington Avenue Green and Pier 68, increasing access to green space and the Delaware River waterfront for an underserved community. The Circuit Trails, a network of more than 750 miles of multi-use trails in the region, makes continued progress. 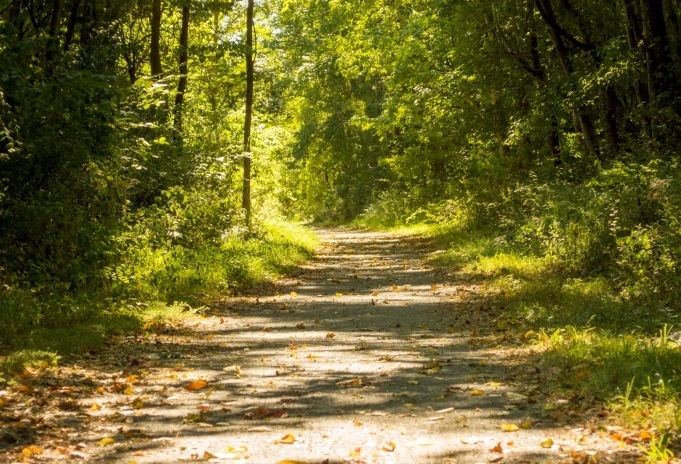 The Foundation grants $1.5 million to complete and promote trail connections to and along the Delaware and Schuylkill Rivers. 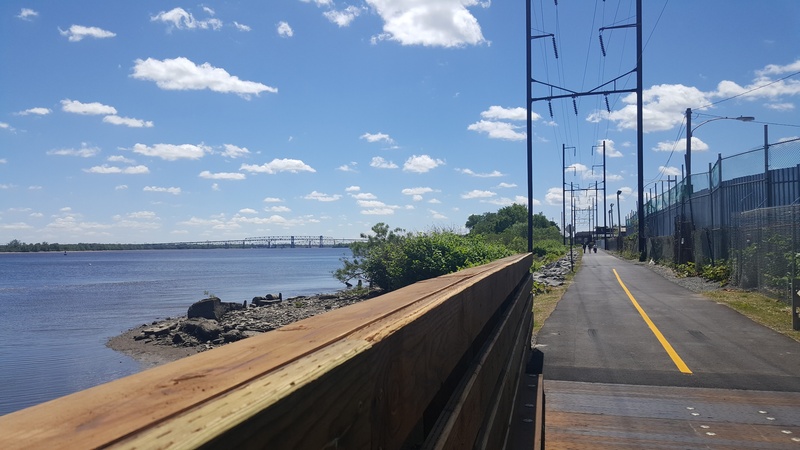 A grant to the Fund for Philadelphia finances the first-phase design of the Bartram’s Mile Riverfront Trail and Park, a proposed addition to connect this National Historic Landmark to the Schuylkill River. The design includes future public programming for the community. In January, the Foundation announces a new strategic vision, which focuses grantmaking on three principle objectives: advancing high-quality learning opportunities for children from low-income families; protecting the region's water quality; and fostering a dynamic and diverse cultural community in Greater Philadelphia. Al-Bustan strives to make Arabic culture accessible for people of all backgrounds, and offers local audiences their only opportunity to hear regularly produced, exemplary, live Arab music. The Foundation’s first grant to this organization was awarded to help improve its capacity to produce its Arab Music Concert Series. Despite improvements to the on-time graduation rate, Philadelphia still lags significantly behind state and national averages. 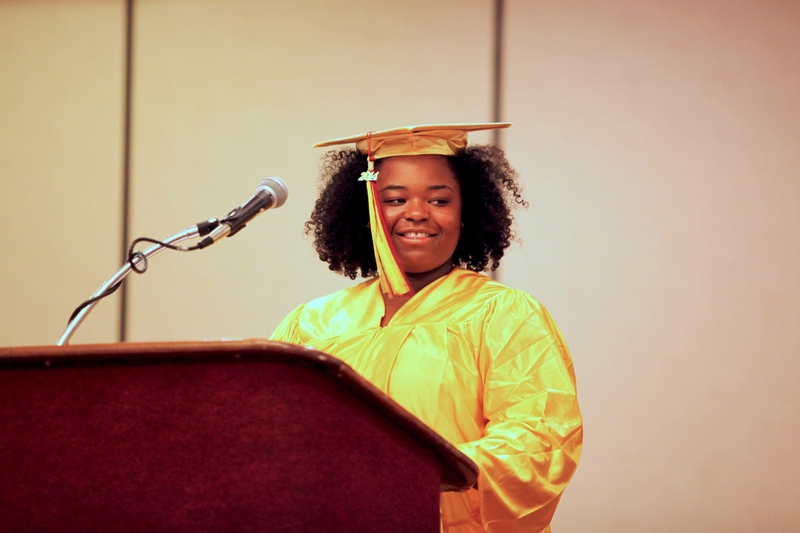 The Foundation contributes to PYN to provide educational opportunities for at-risk students through "Project U-Turn," a successful, multi-stakeholder dropout prevention and reengagement initiative. With a newly honed focus on advancing access to high-quality education across the city, in 2013 the Foundation makes its first contribution to the Reinvestment Fund, a catalyst for change in low-income communities. 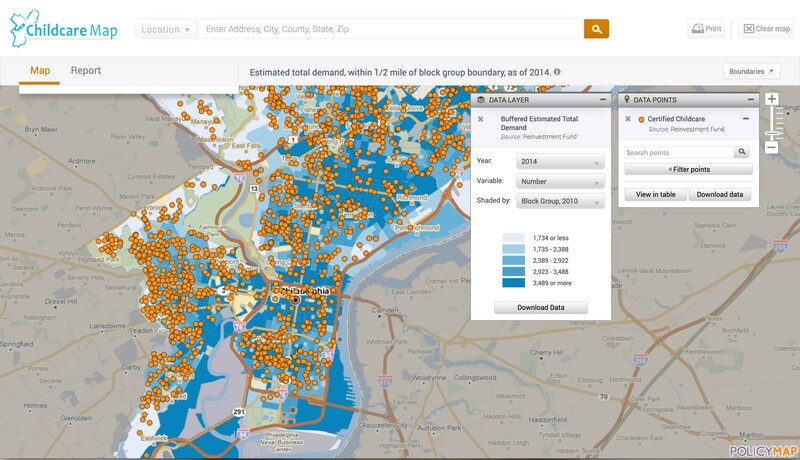 With this initial funding, Philadelphia gains an analysis of the geographic gaps in the city's available high-quality child care along with a corresponding interactive mapping tool. 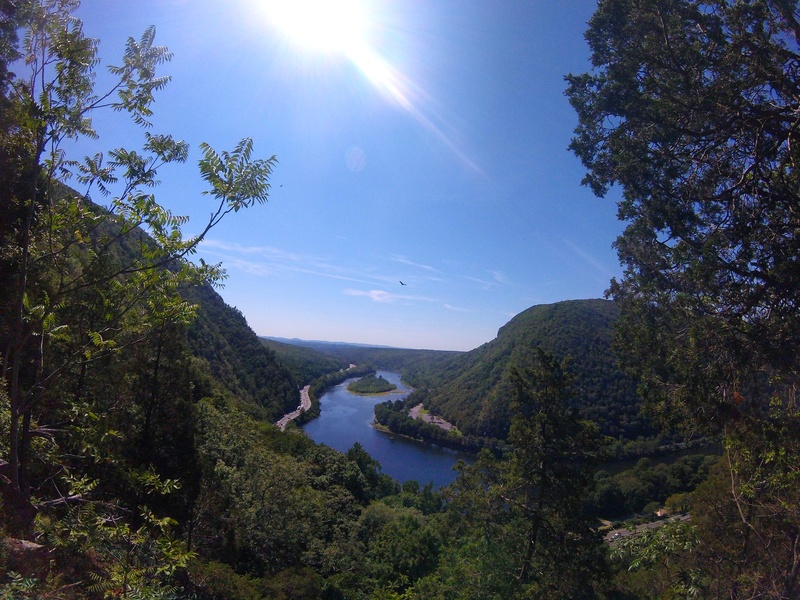 In April, the Foundation announces a major grant in seed funding to launch the Delaware River Watershed Initiative, a collaborative effort of leading nonprofits to protect and restore water quality in the Delaware River Basin. A grant to Stroud Water Research Center for $1,060,300 kicked off the development of a web-based modeling tool, WikiWatershed, which uses basin-wide data to enable users to visualize changes in water quality in specific places across the watershed. This simulation tool allows decision-makers and stakeholders to visualize the impacts to water resulting from changes to the land, new pollution sources, and more. In September, the Foundation makes its largest single grant to an individual institution--the Free Library of Philadelphia--to launch its 21st century library initiative and reestablish the Library as a central resource in every neighborhood in Philadelphia. With this new support, the Library can continue serving as a portal to learning, public services, economic opportunity, recreation, and community engagement for all city residents. 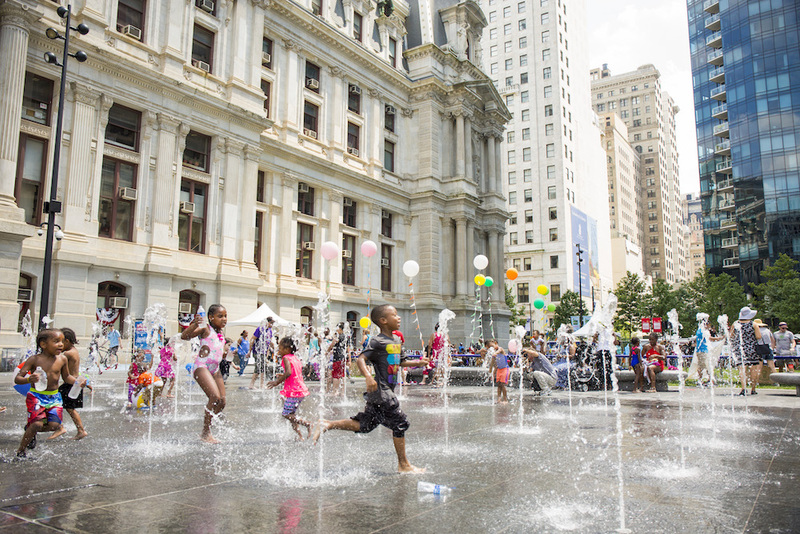 The “Reimagining the Civic Commons” initiative takes hold in Philadelphia to examine how civic assets including public parks, libraries and cultural facilities can be enhanced to promote greater social and economic integration. 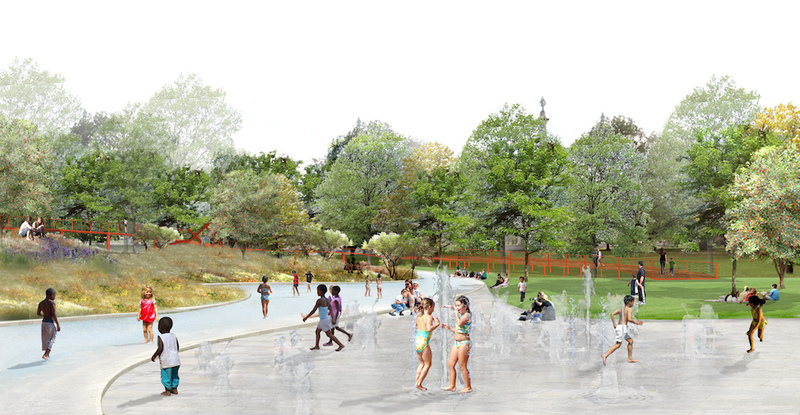 The Foundation makes its first major contribution to implement Parkside Edge, a project that will bring a new recreation space to West Fairmount Park and the underserved Parkside neighborhood. 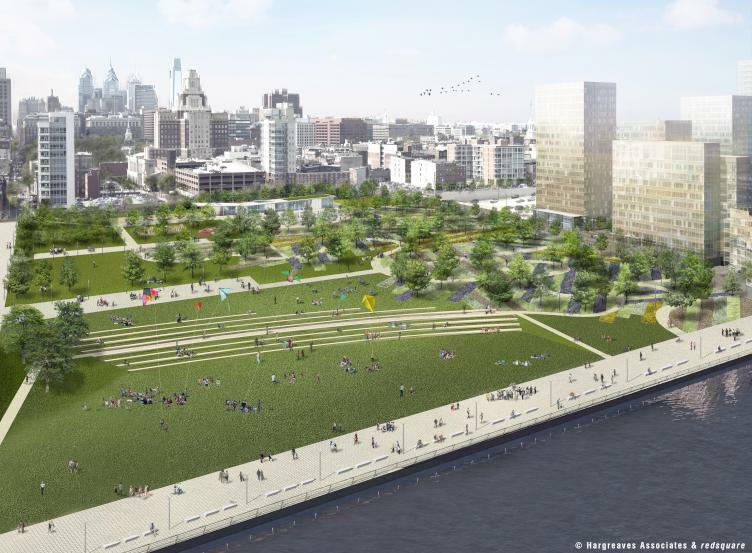 The Foundation continues to advance imaginative connectors between city residents and their waterways with a grant to design and build Penn's Landing Park, an 11-acre park lid over I-95 along the Delaware River waterfront. Furthering the Delaware River Watershed Initiative's progress, the Foundation funds research, outreach, and advocacy to secure policies that will protect water quality and promote conservation practices in the watershed. Through the Delaware River Watershed Initiative, the Foundation funds the Academy of Natural Sciences to increase basin-wide research to inform a better understanding of the watershed as a whole. The Academy helped to gather baseline research and data assessing the entire watershed for the benefit of all 50 organizations involved in the DRWI and beyond. 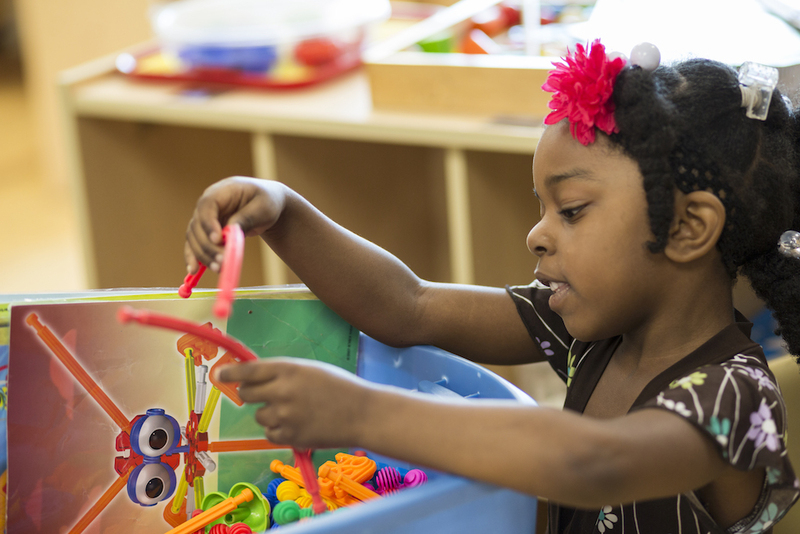 The Foundation continues to support quality education for its youngest residents with a grant to the Pennsylvania Association for the Education of Young Children. 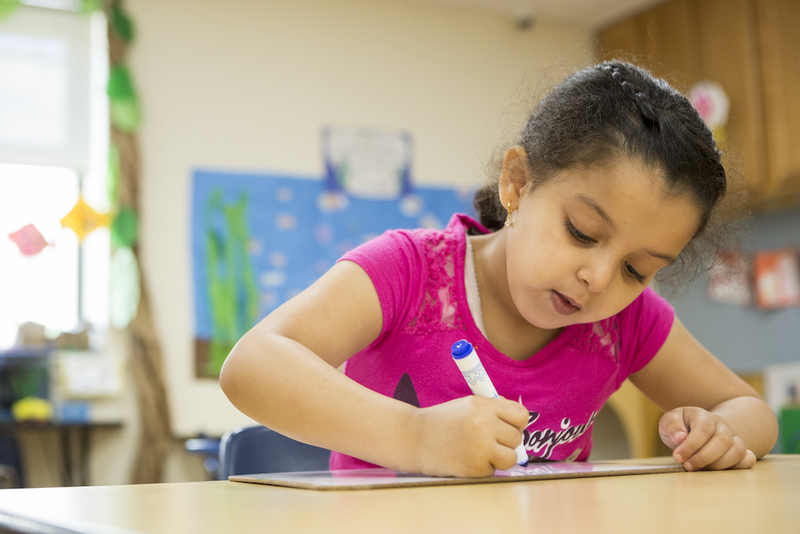 The project implements a continued statewide advocacy campaign to promote universal pre-kindergarten in PA, educating legislators on the need for increased high-quality programs across the state. Following a period of financial struggle, the Please Touch Museum files for Chapter 11 protection in September 2015. A $1.3 million grant from the Foundation helps alleviate debt and professional fees to enable the museum to exit bankruptcy. The Foundation continues its support of the Campaign for Fair Education Funding, a statewide coalition advocating for an adequate and equitable K-12 education funding system for all schools in Pennsylvania. 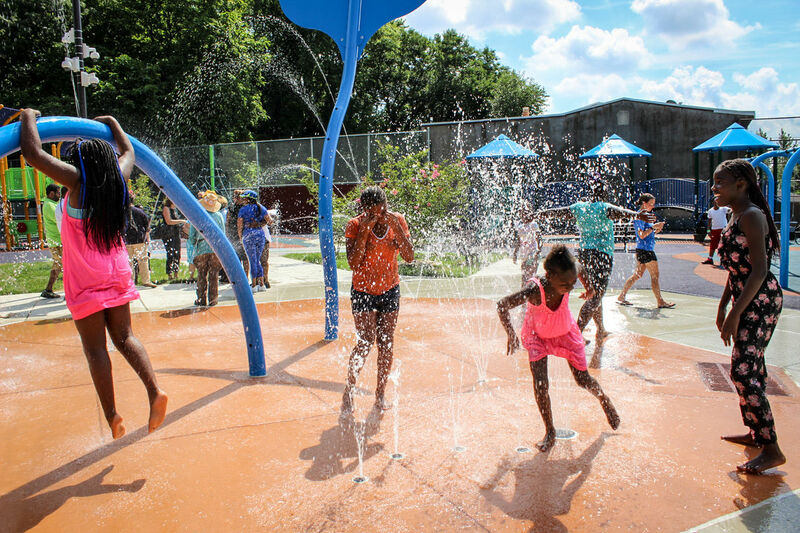 The Foundation commits an unprecedented $100 million toward Mayor Jim Kenney's bold Rebuilding Community Infrastructure Initiative to transform city public spaces - such as recreation centers, libraries and playgrounds -- to enhance community life in neighborhoods across Philadelphia. The landmark grant is the largest in the Foundation's history. 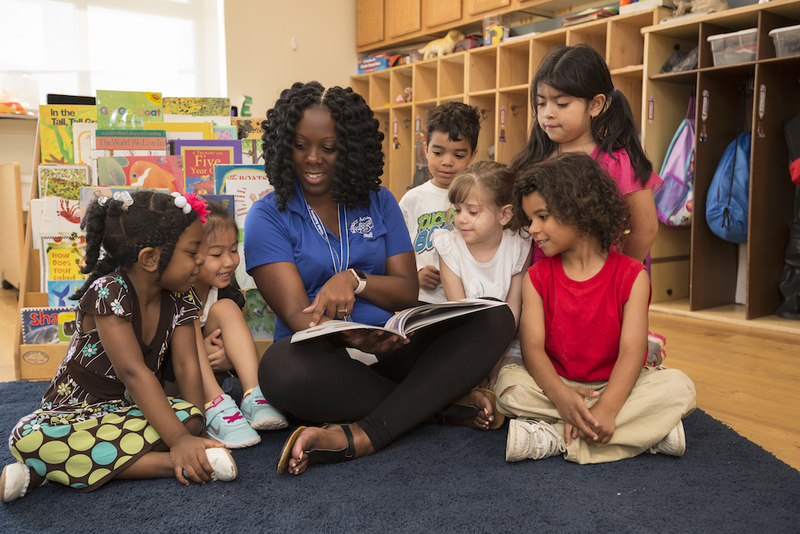 Following an initial proposal to map out the availability of high-quality child care to children across Philadelphia, the Foundation makes a multi-year $15 million grant to provide planning and capital support for the expansion of high-quality child care providers serving low-income children in the city. This grant follows earlier installments in 2013, 2014, and 2015.